George is the Senior Partner at Oraro & Company Advocates. With over 42 years of experience, he is held in high esteem for his arbitration, mediation and litigation expertise in Kenya. 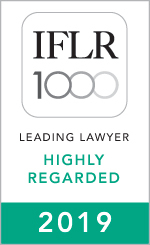 He specialises in administrative and judicial law, banking & commercial litigation, corporate & commercial law, employment and labour disputes, international trade and tax disputes. He has practised in the International Criminal Court ( ICC), the London Court of International Arbitration ( LCIA), the Supreme Court, Court of Appeal, the High Court, Employment & Labour Court, and various Tribunals. In 2012, George was conferred upon him the rank of Senior Counsel, for his exemplary service to the legal profession. 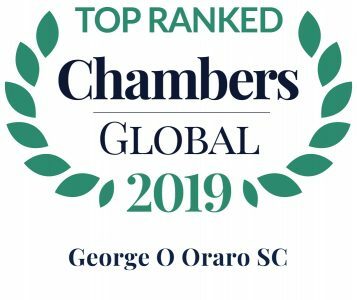 Similarly, Chambers Global 2019 Guide ranked George a top-tier lawyer, lauded him noting that he has a "brilliant legal mind" and that he has "attention to detail and extensive knowledge of law across jurisdictions." He was also appointed to serve as a Commissioner of Assize in the same year to assist in expediting and determining criminal and civil matters. 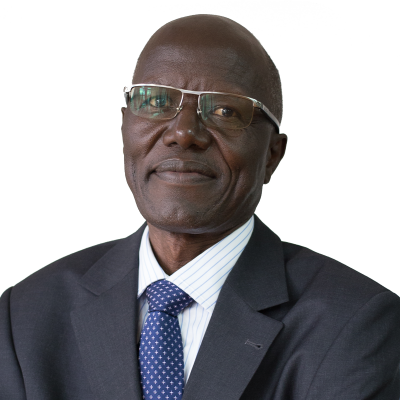 Aside from his legal practice, George has served as a board member for the Capital Markets Authority (CMA) in which he was instrumental in the development of the legal and regulatory framework for the Capital Markets in Kenya. He also was a member of the Nairobi Securities Exchange (NSE) Technical committee. In 2015, George became the first honorary consul for the Republic of Lithuania. Representing a Candian based energy company as co-counsel before the International Centre for Settlement of Investment Disputes (ICSID) brought against the Government of Kenya in respect to unlawful revocation of the company’s geothermal exploration licence. Representing a pan African bank in the International Chamber of Commerce in a claim brought by a Zambian borrower who claims he never authorised the bank to disburse funds to the borrower. Acting for Kenya Power and Lighting and Company an alleged payment of USD 20 billion in respect of power purchase agreements. Acted for the Central Bank of Kenya in the recovery of all amounts in the “Goldenberg” related cases, in excess of USD 1 Billion. Advised the Government of Kenya on the financial and operational restructuring of Kenya Airways (KQ) (a significant shareholder), including converting USD 2.3 Billion into equity and the legal implications of relinquishing its security. Legal advisor on the government to government collaboration between the Kenyan Government and China National Petroleum Corporation in a proposed project to develop up to 350 MW of geothermal power. Advising the Kenyan Government as part of a consortium of local and international firms, during the privatisation of Kenya Posts and Telecommunications Corporation and subsequent creation of Telkom, Postal Corporation of Kenya and the Communications Commission of Kenya.